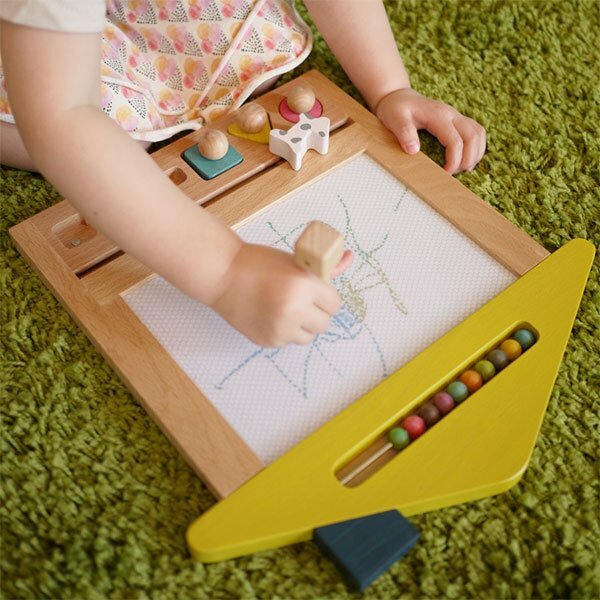 If you ever doubted that toys could actually make our homes more beautiful places, you only have to look at the Oekaki House – Magic Board, a wooden version of the classic magnetic drawing board. The Oekaki House is kawaii in a way that only Japanese toys can be. 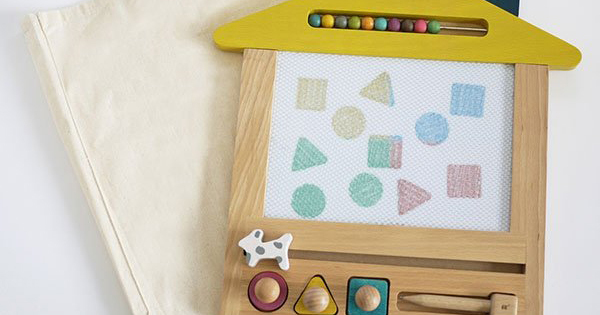 Shaped like a little house, the drawing board has a tiny spotted dog or black cat figure for the eraser handle, a little wooden stylus and three shapes in pastel colours. A neat row of abacus counting beads decorates the roof. 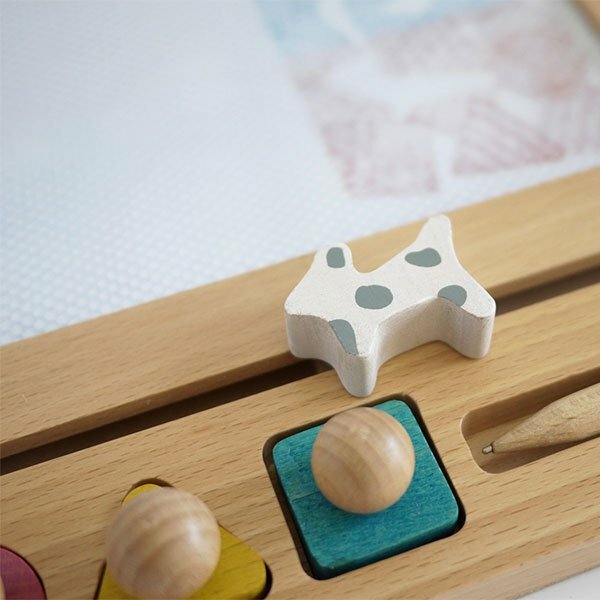 As far as function goes, the Oekaki is the same as other magnetic drawing boards, but the style sets it head and shoulders and rooftops above its competitors. 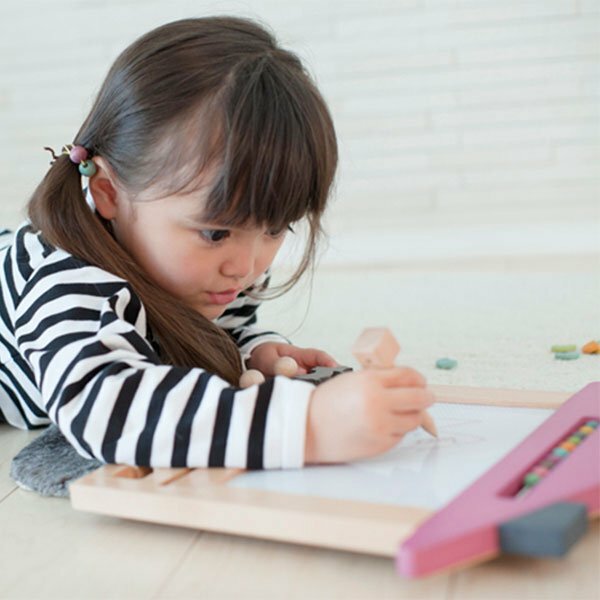 Oekaki House is stocked locally at The Little Kidz Closet, where it costs $85.